We had determined that the primary threat would be for a user to escalate privileges and access information from other accounts. In order to achieve this goal we concentrated on the persistent XSS and XSRF. 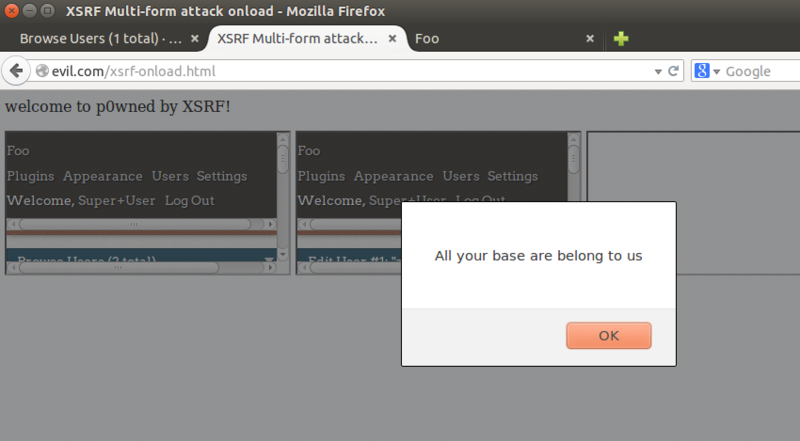 We would use the persistent XSS to launch the XSRF attack. We leveraged all of the vulnerabilities in one way or another, in other words, we were having a good time! OK, we didn't do the last one, that would be WAY too mean. 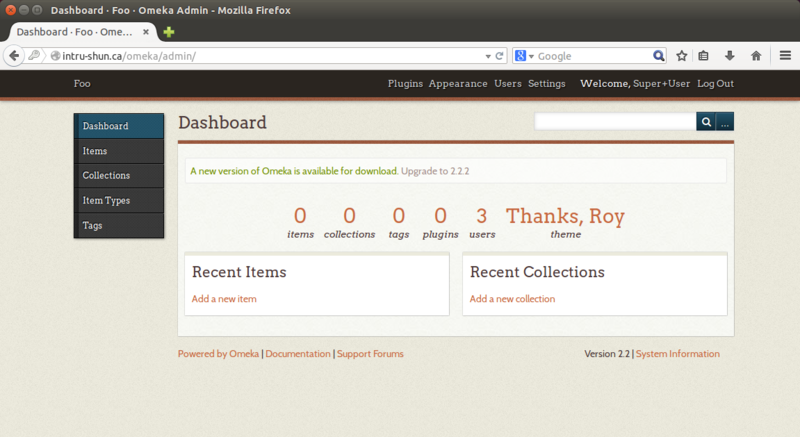 Omeka is a free and open source web publishing application. Also quick and easy to install. Also quick and easy to exploit. Last, but not least, I could download the vulnerable version 2.2 and be up and running in no time. Now the code. The important parts are getting the script to run, I used a body onload. The script runs each one of the forms. 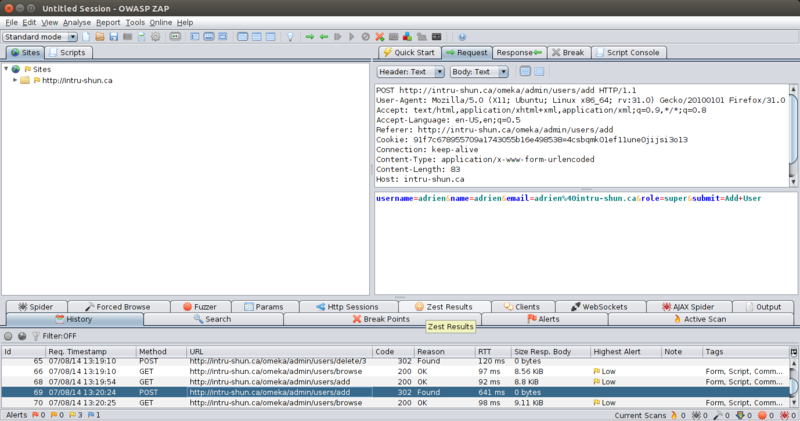 The forms each contain one of the XSF attacks. Each form loads in a different iframe. The first one runs, then the second one waits from the iframe onload to fire before it runs, and so on. Victim logs in, they check their queue, the XSS runs, the XSRF runs, they have lost control of the application, attacker win. I will be teaching SANS Sec560, Network Penetration Testing next in Albuquerque, NM ! welcome to p0wned by XSRF!